What is Trace n' Send Or Email? What is Trace n’ Send Or Email? You are here: Home / FAQ / What is Trace n’ Send Or Email? Trace n’ Fax, or Trace n’ Send as we now say, is a system for accurately specifying the replacement wrap around light cover that you need. Rather than sending us in a sample, simply trace the footprint of the lens. 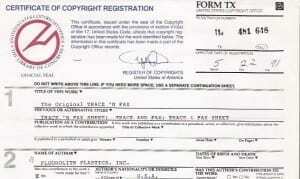 We invented this system and copyrighted the first Trace n’ Fax form in 1982. If you see it anywhere else you’ll know it’s an unlawful copy of our original.